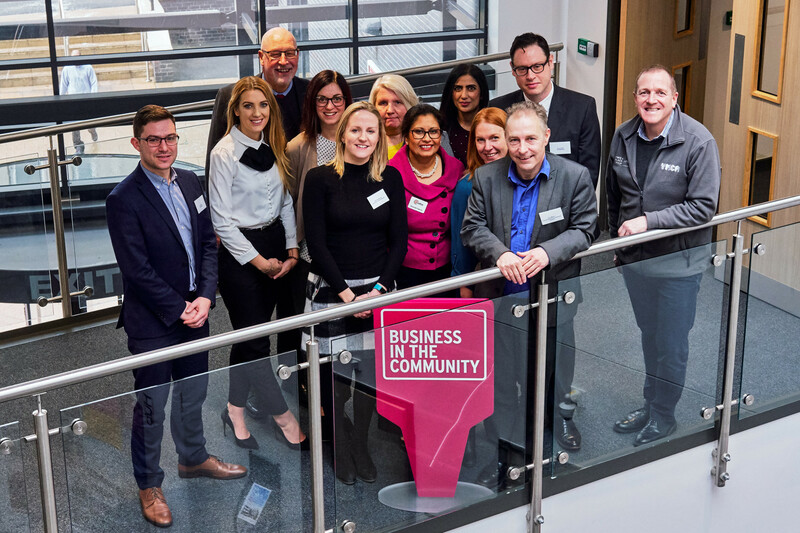 More than 30 business leaders, council heads and community organisations from across Walsall joined together to investigate collaborative ways to address key challenges across the borough. The half-day Community Conversation, which took place at Walsall College on 14 February, was organised by Business in the Community in conjunction with Walsall Council and AF Blakemore & Son Ltd.
Only the second event of its kind to take place in the West Midlands, the Community Conversation was organised to bring together businesses, the voluntary sector and public sector to discuss and identify issues impacting the community in order to share knowledge, skills and experience. A total of 55 representatives from 37 organisations attended the event with Goscote Greenacres Community Gardens, Qualitas Print & Design, YMCA Black Country and the Walsall Green Spaces Forum presenting challenges that delegates were invited to discuss and identify ways that they can help. Willenhall-based food & drink retail, wholesale and distribution company, AF Blakemore & Son Ltd sponsored the event with the company’s director of corporate affairs Paul Cowley and community affairs officer Liz Blakemore both in attendance. Paul Cowley commented: “AF Blakemore is committed to making a significant positive contribution to the communities it serves and this event was a great example of how business, the public sector and community groups can work together to achieve this goal. Frances Kenwrick from BITC said: “A key way for businesses to connect with their communities is through employee volunteering; sharing time, skills and expertise to address key social challenges, and in return developing knowledge and insights about the perceptions and values of the communities amongst employees. Walsall Council leader Sean Coughlan said: “It was fantastic to see so many businesses and organisations coming together to have fruitful conversations about tackling the issues facing local communities in the Black Country.